Sharply updated four bedroom, 2.5 baths in Chadwick Estates. 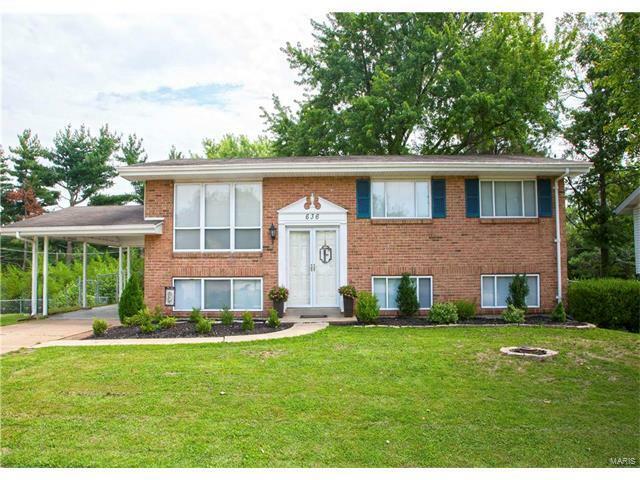 Updated kitchen and baths; hardwood floors; walk-out lower level; and fenced yard. Enjoy the view from the deck off the breakfast room. The lower level includes a spacious recreation area; fourth bedroom; bath; and storage area. Great yard with a storage shed. AAA-rated Parkway Schools. Excellent location. Enjoy the subdivision pool and all that City of Manchester has to offer! Immediate occupancy. Elementary school: Hanna Woods Elem.